Daytona Beach, FL - The Daytona Tortugas, in conjunction with the Florida State League and the Miami Marlins, are proud to award the franchise's second Florida State League Scholarship to Account Executive Michael Edwards. Edwards, a native of nearby DeLand, is prepping for his junior year at the University of Florida. "It means a lot [to win the scholarship]. I appreciate the opportunity to earn a scholarship, and winning it meant even more since it is the first scholarship I've ever been chosen for," Edwards explained. The Florida State League Scholarship Committee awarded twelve (12) $1,500 educational scholarships to applicants from each team in the league. The award is based both on financial need and a grade point average of 3.0 on a 4.0 scale. Students eligible for this award must be an employee, or the child or grandchild of an employee, of the participating club and must be at least a high school junior by the 2016 fall term. 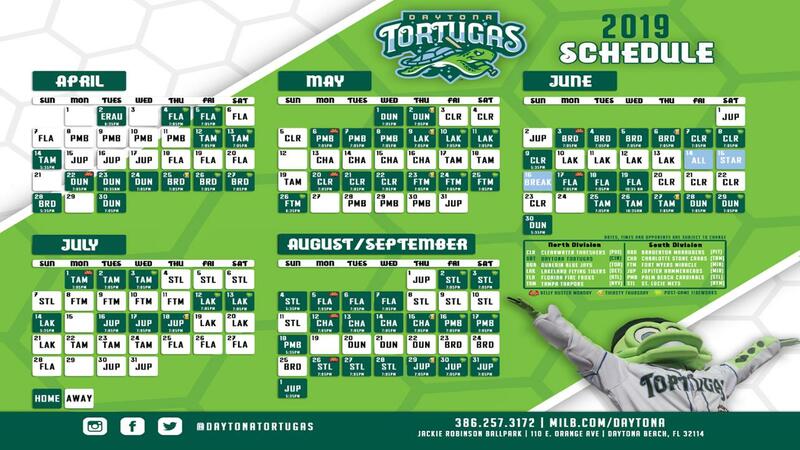 "I didn't want to pass up the opportunity to gain experience [with the Tortugas]. Working in the front office of a sports team is what I eventually hope to be doing," said Edwards, a sports management major, about the internship. The Miami Marlins have sponsored this program for more than 16 years and have contributed over $160,000 to the Florida State League Program. 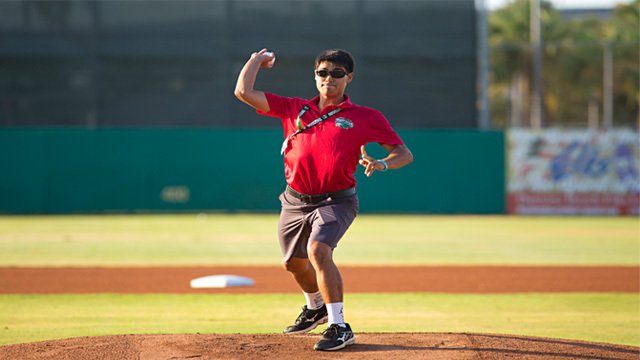 The Daytona Tortugas honored Edwards prior to a home game on July 25th at Radiology Associates Field at Jackie Robinson Ballpark. In addition, he was also mentioned during a pre-game ceremony at the Miami Marlins game on Sunday, July 31st, along with the other Florida State League team award winners. Edwards, now back at school, enjoyed his summer in the FSL. "It was great! I learned a good amount and got to do things that I never expected to be doing. It was definitely tiring at times, but working through those long homestands will help me in the long run!"